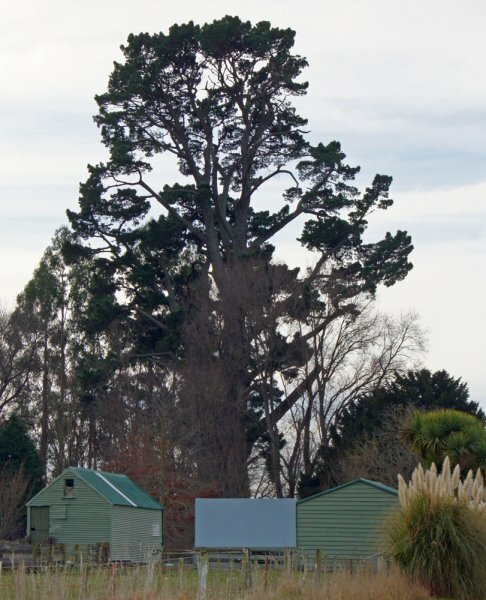 Number 93 in Burstall and Sale's "Great Trees of New Zealand" book, this tree was considered to be the largest 'normal formed' specimen of Pinus radiata in New Zealand. Burstall and Sale noted that a P. radiata at nearby Mt. 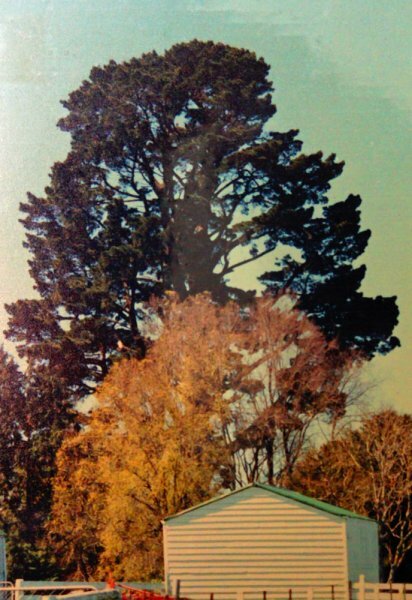 Peel Station (understood to be the first of the species planted in New Zealand in 1859) was larger and taller than this tree (in 1984), but was obviously not considered of "normal" form! 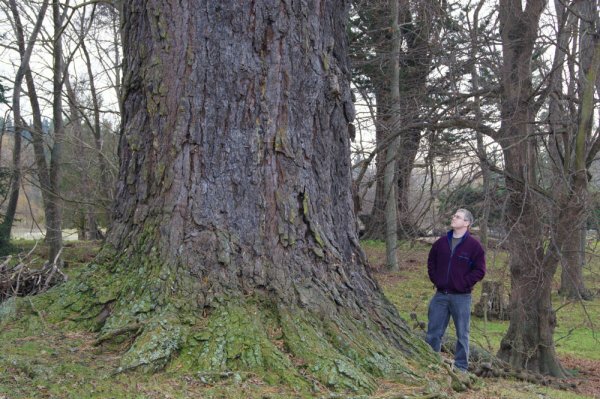 Nevertheless, this tree is one of the largest P. radiata in the world. The Mt. Peel tree (seen here) may be larger. The Champion Tree Register of Australia records a larger specimen, however the girth measurement may include a branch (or secondary stem) that grows at or near ground level. The current American Forests champion is taller, with a greater spread, but is lesser in girth. This tree has been a Geraldine landmark for many years, having been planted in 1860 by a Mr Grey. The tree is on the Timaru District Plan schedule of significant trees (Smillie, M. 2012). 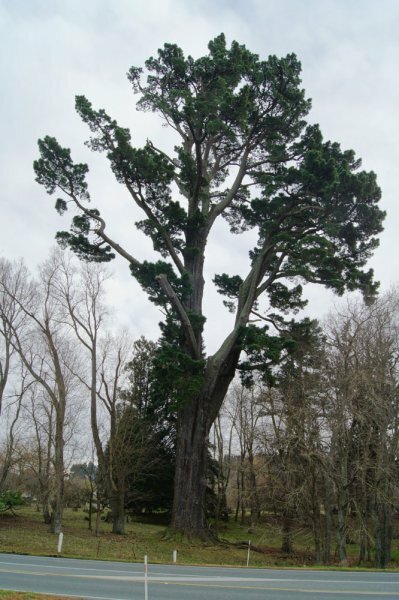 Typical of large, old pines, but showing less foliage than earlier photographs (2012).